Orissa Chief Minister Naveen Patnaik has wilfully mutilated the Orissa Official Language Act, 1954 by way of two successive amendments in 2018. This has rendered inconsequential the very purpose of creation of Orissa as a linguistic State. Founder of Bhasha Andolan, Orissa Sri Subhas Chandra Pattanayak has emailed him on 11th January 2019 to correct his wrong. The CM has not yet responded. The email is shared below with the people of Orissa, as the Assembly is scheduled to commence its session on the 4th of February. 2. There was no provision of punishment against contravention of the Act. Accordingly, I had given my advice on 3.9.2015 with draft outlines of two legislation – one, for empowering the Government to frame the Rules and the other, for provision of punishment against non-use of Oriya as official language. I am personally grateful to you for your ultimate acceptance of the above two advices and for amendment of the Act accordingly. The 1st advice was implemented in Ordinance dated 21.5.2016, later given the Law form in Odisha Official Language (Amendment) Act, 2016. The 2nd one was given a form of Law in the Odisha Official Language (Amendment) Act, 2018 by insertion of Section 4-A. But, Sir, under the guise of this noble work, assented to by the Governor on 23.6.2018, mischief was played to kill the very purpose of the Act and the purpose of the creation of the State of Odisha as well, as it was deliberately linked to Cabinet Resolution dated 26.12.2017, which had proposed to reduce the scope of the Act with other highly objectionable ingredients. The State Cabinet met again under your Presidentship on 14.3.2018. It superseded the defective Resolution dated 26.12.2017 on the Act and, almost entirely agreeing to our demand, it made it clear that for nonworking in Oriya, only the erring employee and official will be punished, not the Department. In complete acceptance of our argument it resolved, “as there is no provision for imposing penalty against the Officers and employees who are violating the provisions of the notifications under the Act, Government have decided to bring the amendment immediately providing penalties for such erring Officers and employees…so that they will implement the provisions of the notification in its letter and spirit” (Para 2 and 3 of the Press Note of the GA & PG Department, dated 14.3.2018). Firstly, the Statement of Object and Reasons of the Amendment do not carry the Reasons spelt out in the above quoted resolution of the Cabinet meeting presided over by you on 14.3.2018. It is based on the superseded resolution of 26.12.2017, completely suppressing the resolution dated 14.3.2018. Secondly, while illegally using the superseded resolution dated 26.12.2017, the officer concerned has also tampered with the said resolution. When, even that Resolution had laid down that for nonuse of Oriya the Department AND the employees will be suitably punished, the amendment, claiming to have been based on that resolution, provides for punishment to employees OR Department, which is blatantly unauthorized and illegal. 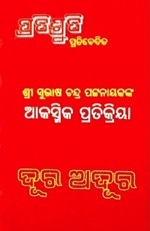 Thirdly, the scope of the Act originally covering the whole of Orissa and all and every Office in the State of Orissa, the amendment has reduced this scope to “extensive use of Oriya Language”, which clearly means that the Act will not be used in whole of Orissa and in all and every office in the State. No amendment can kill the basic purpose of the Act. Thus Sir, your intention to amend the Act to make it flawless for implementation of the Act “in its letter and spirit” has been brutally done away with by the mandarins while drafting the amendment. Obviously, no serious attention was paid to this mail, as a result of which, attempts were made to enforce this illegality on the people of Odisha and their language in Odisha Official Language (Second Amendment) Act, 2018. (2) It has kept the notorious Section 4-A alive, which being based on the resolution of 26.12.2017, over and above the numbers of mischief detailed above, puts the implementation of the Act under the mercy of the departments. Under the circumstances, I request you to be pleased to please repeal Section 4-A along with Section 3-A from the Odisha Official Language Act in the coming session of the Assembly and to please bring in fresh amendment to quantify the punishment for contravention of Act, as per the Cabinet resolution of 14.3.2018. I also request you to quantify the punishment for contravention of the Official Language Act, as has been done in the Odisha Shops and Commercial Establishment (Amendment) Act, 2018. Let us the people of Odisha feel that anglicized bureaucracy is not making a farce of the noble decision of our Hon’ble Chief Minister in the matter of our Official Language. With a heavy heart, I am writing you to say that, your noble intention to remove all defects from the Orissa Official Language Act, 1954 in order to make it flawlessly functional has been derailed by mischievous brains in bureaucracy and consequently, its amendment passed by the Assembly and assented to by the Governor, has become a more notorious instrument to destroy the original purpose of the Act , while rendering you absolutely inconsequential in the matter of the Resolution of the Cabinet you had presided over on March 14, 2018. 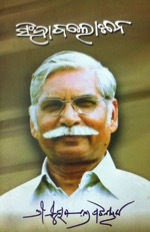 In looking back to the chain of events, I may state that, against the backdrop of ‘Fast onto Death’ by famous language activist Gajanan Mishra in July 2015, the new phase of official action on working of the Official Language Act commenced with creation of a Ministerial Committee by you under the Resolution referred to above, to find out how the Act could be implemented. There was no provision of punishment against contravention of the Act. Accordingly, I had given my advice on 3.9.2015 with draft outlines of two legislation – one, for empowering the Government to frame the Rules and the other, for provision of punishment against nonuse of Oriya as official language. For the first time the Government could know the above two inherent defects in the Act from my communication and you were kind enough to inform the Assembly on 14.12.2015 that necessary amendment of the Act was on the anvil. From the notes in the concerned file it transpires that, the then officer-in-charge of the aforesaid Ministerial Committee Sri G.V.V.Sharma had objected to the proposal for punishment, and the file was then thus strangulated that, the Committee went into oblivion. There was no other way for us than starting a movement in the name of Bhasha Andolan and commencing a campaign known as Black-Flag-Campaign for propounding the cause. After 39 days of this campaign, on 21.5.2016, you were kind enough to get apprised of the serious situation and appreciating the extraordinary urgency the campaign had generated for official action, you promulgated an Ordinance of Amendment to the Act that implemented my advice and empowered the Government to frame Rules to drive the Act ahead. We had postponed the Black-Flag-Campaign till August 15, 2016, as, to our comprehension, which official indication to the Press had generated, all obstacles to implementation of the Act were to have been removed by then. Bureaucracy foiled your noble attempt by producing a stillborn set of Rules that was so ineffectual and ill-conceived that, even the Government did not prefer to apprise the Assembly of it, when the Ordinance was laid as a Bill. As our Black Flag Campaign continued, you were kind enough to discuss the matter with us vide the CMO communication dated 19.5.2017 under reference. We appraised you of the lacunae in the Law and gave you a fresh memorandum detailing why and how the amendment, 2016 should be further amended. A draft of the proposed amendment was submitted to you on that occasion. After lapse of a period of six months, you held a Cabinet meeting at Puri on 26.12.2017 that almost agreed with our demand and decided to provide for suitable punishment to whosoever employee and Department fail to impart service in Oriya Language. We objected to that in view of the fact that: (1) there was an attempt to reduce the scope of the Act by shrewd coinage of words like “extensive use”, (2) Departments being run with people’s money, the contemplated punishment to ‘Department’ would lead to punishing the people for offences of the employees. And, the Black-Flag Campaign continued. The State Cabinet met again under your Presidentship on 14.3.2018. It superseded the defective Resolution dated 26.12.2017 on the Act and almost entirely agreeing to our demand, it made it clear that for nonworking in Oriya, only the erring employee and official will be punished, not the Department. In complete acceptance of our argument it resolved, “as there is no provision for imposing penalty against the Officers and employees who are violating the provisions of the notifications under the Act, Government have decided to bring the amendment immediately providing penalties for such erring Officers and employees…so that they will implement the provisions of the notification in its letter and spirit” (Para 2 and 3 of the Press Note of the GA & PG Department, dated 14.3.2018). Secondly, while illegally using the superseded resolution dated 26. 12.2017, the officer concerned has also tampered with the said resolution. When, even that Resolution had laid down that for non-use of Oriya the Department AND the employees will be suitably punished, the amendment , claiming to have been based on that resolution, provides for punishment to employees OR Department, which is blatantly unauthorized and illegal. 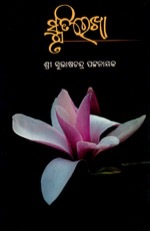 Thirdly, the scope of the Act originally covering the whole of Orissa and all and every Office in the State of Orissa, the amendment has reduced this scope to “extensive use of Oriya Language”, which clearly means that the Act will not be used in whole of Orissa and in all and every official purpose in the State. No amendment can kill the basic purpose of the Act, as this particular amendment has been worded to do. These gross mistakes were overlooked by the Minister Mr. Arukh who moved the Bill in your absence and who just read out the reply to the debate as obviously prepared by the scheming mandarin that had drafted the amendment with a deliberate design against the people of Orissa. On behalf of Bhasha Andolan, which has been spearheading the movement for inviolable implementation of the Act, I had brought these defects to the notice of the Governor with a request for returning the Bill for reconsideration of the Assembly to make the Law flawless. But, the anti-Oriya mentality of the bureaucracy is such that, the said memorandum was not put up properly before the Governor. And, to please ensure that the Amendment, 2018 is put afresh before the Assembly in its coming session for amendment thereon or for fresh amendment of the Act to do away with the defects enumerated and detailed supra. NO to Utkal, YES to Orissa. Why? Orissa’s State Anthem is not yet created, despite the State Legislature having resolved in favor of the song captioned ‘Bande Utkal Janani’ several years ago. This song is inherently defective and needs a law to enforce it, which, in the changed political scenario in Orissa, may not be possible. In my discussion in Oriya language, I have suggested why a new Anthem carrying the name Orissa, instead of Utkal, should be created. Here is the same, already published online. Journalist Subhas Chandra Pattanayak’s two historic books – (1) Orissa Pradesh Srustire Ganamadhyam and (2) Nabakalebara: Legends and Reality – were released in the evening of December 29 in the jampacked auditorium of Red Cross Bhavan, Bhubaneswar by eminent author Dash Benhur. Addressing the event chaired by Prof. Jayant Kumar Biswal, editor of Orissa’s largest circulated daily ‘The Sambad’ and Chief Guest of the event, Sri Soumya Ranjan Patnaik said that, had the book – Nabakalebara: Legends and reality been published at the time of Nabakalebara, it could have become best-seller. Yet, written in English, it is well set to help the world understand SriJagannatha in the perspective of history and social evolution. It is a speaking endeavor to bring out the reality from beneath the heaps of legends; and hence, as much a book of reference, it opens gateway to in-depth research on the topic, he said. Discussing the book, Chief Speaker Prof. Biswaranjan strongly endorsed Sri Pattanayak’s deeply researched determination that Sri Jagannatha is a deity of agro-magic, originally conceived as the torso of a mother in consonance with Bouddha Tantra, which the practitioners of Brahmanya Dharma have changed into a male deity Vishnu of Hindu pantheon to wipe out the Buddhist tenets in Cult of Jagannatha. 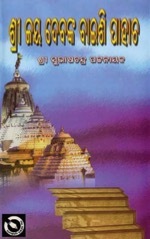 Sri Pattanayak’s work is of utmost relevance to study of Jagannath in proper perspective, he said, citing profusely from the book and comparing the same with observations of various scholars. 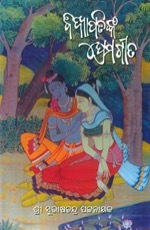 Famous orator and editor of Subartta, Pradyumna Satpathy gave a scholarly analysis on Pattanayak’s other book – Orissa Pradesh Srustire Ganamadhyama (Role of Mass media in creation of Orissa). Contextualizing the book with the ongoing movement for governance of Orissa in Oriya, he strongly stressed upon use of this book as a backgrounder to the current language movement. Both the books were offered respectively to Surjyaprava editor and author Rabi Kanungo and to Columnist and thinker Tusarkanta Satpathy by the author Sri Pattanayak as a token of Lokarpana (presentation to public). In reply to the offering, both of them spoke of the relevance the books for Orissa. Guest of Honor, eminent poet Dash Benhur held both the books as thought-provokingly relevant, when editor of the daily newspaper Sanchar Prasanta Patnaik lauded the focus the books have laid upon Orissa’s cultural excellence in advancing the zeal for governance of Orissa in Oriya and in projecting the unseen facets the cult of SriJagannatha. In his Presidential address, Prof. Jayanta Kumar Biswal lauded the scholarly pursuit behind both the books and their value of reference. Political Scientist Dr. Netaji Abhinandan (Ravenshaw University), quite close to the author as his son’s intimate friend, welcomed the guests, with Chief Executive of Shabdasparsha Pabitra Mohan Maharatha initiating the event. Major Dr. Kumudini Barai proposed the vote of thanks. Leaders of Orissa Bhasa Sangram Samiti and language activists – poet Sankarshan Parida, poet Umakant Raut and Dr. Subrat Kumar Prusty were felicitated by the Chief Guest Sri Soumya Ranjan Patnaik on behalf of Shabdasparsha. Felicitations were also given to poet Gajanan Mishra and to Prof. Natabar Satpathy in absentia for their role in the language movement. Poet Saroj Bal graced the event by reciting his poem on magnificence of Oriya language. Chief Minister Naveen Patnaik seems to have developed a wrong notion that governance of Orissa in Oriya depends upon his mercy. His press-note of December 17 and full page display advertisement in major broadsheets of today force us to arrive at this apprehension. 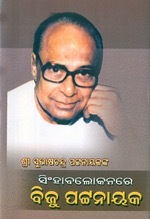 In his December 17 press note it was declared that he had held a meeting with the five members of the ministerial committee on that day for the purpose of “strictly implementing the Orissa Official Language Act, 1954 in official and non-official level” to facilitate which a website has been floated by the government. In the full page multi-color advertisement in broadsheet dailies today, this is intriguingly missing. The advertisement is designed to tell the people that Chief Minister Naveen Patnaik has taken historical steps to save and develop Oriya language, and has enumerated the steps he has taken. This is blatant lie. Neither he nor his government has executed any single item claimed to be “historical” in the official advertisement. The entire advertisement is nothing but false propaganda. What a shame it is, that, the people of Orissa are taken for granted by their Chief Minister! We have now enough reason to apprehend that the Chief Minister is trying to render our movement for governance of Orissa in Oriya inconsequential. I will come to the crux of the issue in course of the discussion. At the outset let me make it clear that Oriya Language has created Orissa and therefore, it is Oriya language that must rule over Orissa. Had there been no Oriya Language, there would have been no land called Orissa. Had there been no land called Orissa, there would have been no chief minister called Naveen Patnaik. So, it is better for Naveen babu to know that governance of Orissa in Oriya is not our begging; it is our right. For Oriya language to rule over Orissa, we don’t need the Chief Minister’s mercy. I will come to this phenomenon later. Let me first tell Naveen’s sycophants, who pride in posing elite and, imitating the blue-colored jackal of Mitralava, howl in English to the disadvantage of the Oriya-speaking people in Orissa, that, their forefathers would have died forlorn as servants of the “native servants” of the British in neighboring provinces, had Oriya Language not created Orissa as a separate province for them to live in and prosper. Wherever Oriya was the mother tongue, the Oriya speaking people of that place had wanted to amalgamate their areas into a single province for better management of their individual and collective affairs and in that process they had very ably fought out the nasty designs of the native servants of the British such as the Bengali, Hindi and Telugu speaking people. The main thrust behind their movement was the necessity to preserve and promote the magnificence of their mother tongue. 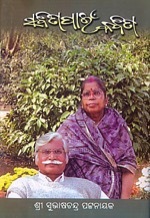 Their mother tongue Oriya had guided them into success in this movement. Therefore, Orissa belongs to Oriya language. People’s eagerness to see a province of their own as quickly as possible, of course, left some Oriya speaking tracks outside the geographical limits of modern Orissa; but the Orissa we are living in, is undoubtedly the product of Oriya Language. To educate the Chief Minister and his sycophants further on this matter, I would like to quote from the immortal poet Gangadhar Meher where he has described how Utkala Bharatee (Oriya Language) labored to create Orissa. Through Meher, she chided various Kings for their negligence to the need of amalgamation of all the tracks under her letters to save her identity, which the envious crooks of rival tongues belonging to neighboring provinces, serving as “native servants” of their British masters, were conspiring to destroy. Many instances of how our mother tongue Oriya inspired her children in the British Raj to form our province has been given in my eBook ORISSA PRADESH STRUSTIRE GANAMADHYAMA and its forthcoming printed edition. With these instances on records, be it known without any ambiguity that, Oriya Language has created Orissa, which has given asylum to Naveen Patnaik after his father’s death in a rejected condition. He is continuously in power, because this magnificent soil has been granting his prayers for votes, despite all his failings, in the best tradition of mercy shown to people under asylum. But it seems, he is misreading this magnanimity as his birthright to rule over Orissa. And under this false notion, he is behaving as if he is showing mercy to people of Orissa by declaring to grant limited use of Oriya Language in administration, as is evident from the press note issued by his office on 17th December and the advertisement dated today. He had told the Assembly on 14th December that for implementation of the Act, his government was working on necessary Rules. But neither the press note issued by his office on 17th December nor the Advertisement of today make any mention of it. The press note shows that he had taken a meeting with the five Ministerial members of the Committee which comprised, besides the said Ministers, the representatives of the Orissa BhasaSangramSamiti, (hereinafter called the Samiti) without informing them of this meeting. This Committee was not a product of the CM’s sweet will. It was formed on the basis of agreement with the people represented through the Samiti on implementation of the Act, on the basis of which, Poet Gajanan Mishra had withdrawn his fast on to death. Along with Sri Mishra, many activists including this writer had joined the fast and whole of the State had woken up against the government of Naveen Patnaik. Situation had become so threatening to his smooth sailing in power that he was compelled to declare that, use of Oriya as Official Language would now be a must. Accordingly he had entered into agreement with the Samiti to form a joint committee comprising ministers and the Samiti representatives to formulate the process of implementation of the Act and to monitor the implementation. Convener of the Samiti poet Sankarshan Parida, Prof. Natabar Satapathy, and Dr. Subrat Kumar Prusty have contributed most valuable advice and all documentary input to facilitate the implementation of the Act. But, surprisingly, the CM has taken the meeting with the ministerial members of the Committee without the members of the Samiti and made certain declaration unilaterally that neither tally with the crux of the agreement nor with the purpose of the Committee nor with the aim and objects of the Act. This is most unfortunate and never acceptable for the people of Orissa. During the16 years of his tenure as CM, Mr. Naveen Patnaik has not honored the Orissa Official Language Act. This is an offense. The Act has mandated that, “Oriya shall be the language to be used for all or any of the official purposes of the State of Orissa”. Chief Minister Naveen Patnaik has willfully contravened this Act ever since he has become the Chief Minister. He has never used Oriya as Official Language in his own office so far. Encouraged by this continuous contravention of the Act by the Chief Minister himself, the entire administration of Orissa has discarded Oriya as Official Language and resultantly our mother tongue has declined in its value of utility. Why did Orissa Official Language Act – the first amongst all the regional Acts on official language – failed to operate, notwithstanding being the act of the people’s heart? I tried to find out the reason. And, I found, the Act was inherently defective inasmuch as it had no provision to take to task its contraveners. This is why, no action has been taken against any contravener of this Act since its enactment, even during the days of J.B.Patnaik, who had tried to implement the Act and was refusing to peruse the files if not put with notes in Oriya. As a member of the Samiti in the ministerial Committee, it was my duty to suggest a remedy. Hence I thought it prudent to suggest for Rules to implement the Act. There was a problem. The Act had no provision to make and promulgate the necessary Rules. So I advanced a draft amendment to the Act to provide for the Rules and a draft of Rules to drive the Act ahead. My friends in the Samiti endorsed the same and Chairman of the Ministerial Committee Sri Debi Prasad Mishra and other four Ministers – Bikram Keshari Arukh, Arun Kumar Sahoo, Atanu Sabyasachi Nayak and Pranab Prakash Das – accepted the suggestion and directed the GA department to help the Principal Secretary of Law to proceed for legislation thereof with vetting if necessary. Therefore, the CM had told the House on 14th December that the Rules were getting prepared to implement the Act. Media had given his answer due publicity and the Samiti had wholeheartedly welcomed the his reply. But sadly and surprisingly on December 17 the CM took a different turn and deviated from the position of 14th December. In his new posture, he thrashed down the scope of the Act from “all or any of the official purposes of the State of Orissa” to “circulars”, “advertisements” and “nameplates”. In the advertisement of today, there is no trace of implementation of the Act, whereas “safety of Oriya Language” and “development” thereof are the two items projected as purpose of the CM! These are nothing but instances of wordy acrobatics devised to fizzle out the movement of the people for governance of Orissa in Oriya. The Oriya Language has remained safe by her own strength, foiling the conspiracy of the Bengali, Hindi and Telugu speaking people serving as “native servants” of the British. Rejecting their claim of superiority over Oriya Language, the First Linguistic Survey of India had clearly held that Oriya as a language was so superior and splendid and so rich in vocabulary that “neither Bengali nor Hindi nor Telugu can vie with it”. And now, thanks to Dr. Debi Prasanna Pattanayak, Ramachandra Khuntia and Dr. Subrat Kumar Prusty, Oriya language has been recognized as Classical Language of India, when neither Bengali nor Hindi are considered for this status. So, the Chief Minister’s “safety” slogan is a contrived attempt to misguide the people. Development of the language doesn’t depend on digitization of books. Has he ever studied how many numbers of rare palm-leaf manuscripts have been missing from the State Museum Library and destroyed in the mouths of the moths? How many of them edited and published? Can he say, what happened to manuscripts and books collected by the directorate of Culture from Kabichandra Kali Charan Pattanayak’s residence after his death? What sort of preservation he is saying? Wordy acrobatics shall not develop the language. Its utility potential can do. Therefore, our demand is for implementation of the Official Language Act, because only the official use of the language can increase its utility potential and drive its development ahead. As the Act has no provision to punish the contraveners thereof, we had drafted and submitted the necessary Rules, as noted supra. But the press note of 17th December issued by his Office and the Advertisement published by his Public Relations Department today are totally silent on the Rules suggested by this writer on behalf of the Samiti and the Language Policy submitted by Dr. Debi Prasanna Pattanayak as proposed by the Samiti and resolved for in the 1st meeting of the Committee. The press note and the advertisement issued by the CMO and DIPR respectively are repetition of old tricks used many times to hoodwink the people. Was it not the direction of the Act when it was enacted and promulgated with “immediate effect” carrying the stipulation that “Oriya shall be the language to be used for all or any of the official purposes of the State of Orissa”? Was it not the position when Chief Minister J.B.Patnaik (as he then was) had issued direction to all his ministerial colleagues on 3 July 1989 to use Oriya Language strictly in every case in every office under their respective control, with immediate effect? Therefore, the CM’s fresh assertion in his press note that the Act shall be strictly implemented is nothing but repetition of earlier positions and carries no meaning without framing the necessary Rules to punish whosoever uses any other language than Oriya in governance of Orissa. The modus operandi behind the CM’s new posture is quite intriguing. The Rules I have submitted on behalf of the Samiti carry provision for punishment and therefore perhaps, it is disturbing for him, because he is a habitual and chronic contravener of the Orissa Official Language Act. Law doesn’t discriminate between the CM and a common functionary. I am afraid; this is the reason behind his new posture. In this new posture, on December 17, the CM has played a joke on Oriya Language by saying that the Orissa Official Language Act shall be strictly implemented. This joke is discernible in the very fact that from that day to this day, he has not given any order in Oriya and his office has been working in English language as before. In other words, he has been contravening the Official Language Act even after declaring that the same shall be strictly implemented. The harmful design of the Chief Minister is discernible in his press note where implementation even of the purpose of the Official Language Act has been left to decision to be arrived at after studying the language scenario prevalent in other provinces. Orissa administration in Oriya language cannot be allowed to be dependent on practices prevalent in other provinces. As has clearly been told above, Oriya Language has created Orissa as a province. Therefore, the entire province of Orissa belongs to Oriya Language. There cannot be any compromise on this position and any mischief that makes the governance of Orissa in Oriya dependent on practices elsewhere would stand rejected by the people of Orissa as a harmful design contrived by non-Oriyas and anti-Oriyas. 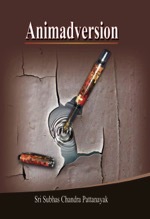 The false assertion in the advertisement today is a creation of this harmful design. Wake up dear all who love the mother tongue and the motherland. The demand of Oriya Bhasa Sangram Samiti (OBSS) was for governance of Orissa in Oriya. The State Government had agreed and had come to an agreement with OBSS to work out details of how to make it a reality in practice. When the details were formulated and placed in a dedicated website specifically created to monitor governance of Orissa in Oriya, in a surprise and baffling move, the Chief Minister has reduced the State to Official circulars, Advertisements and Name-plates, in a meeting held today the 17th December in the Secretariat. The meeting was held behind back of the other part of the agreement, i.e. the OBSS and the Press Note issued by the CMO makes it clear that the Chief Minister has drifted away from the decision for governance of Orissa in Oriya. The official caption given to the Press Note is clear enough to suggest that the CM is not for governance of Orissa in Oriya. To his perception, issuance of official circulars, official advertisements and writing of name-plates constitute the whole gamut of governance! We will discuss the Press Note in a separate post. Let us now see what does it say. After the CMO issued this Press Note, the leadership of OBSS hold an emergency meeting and passed the following resolutions. We place it here for records.